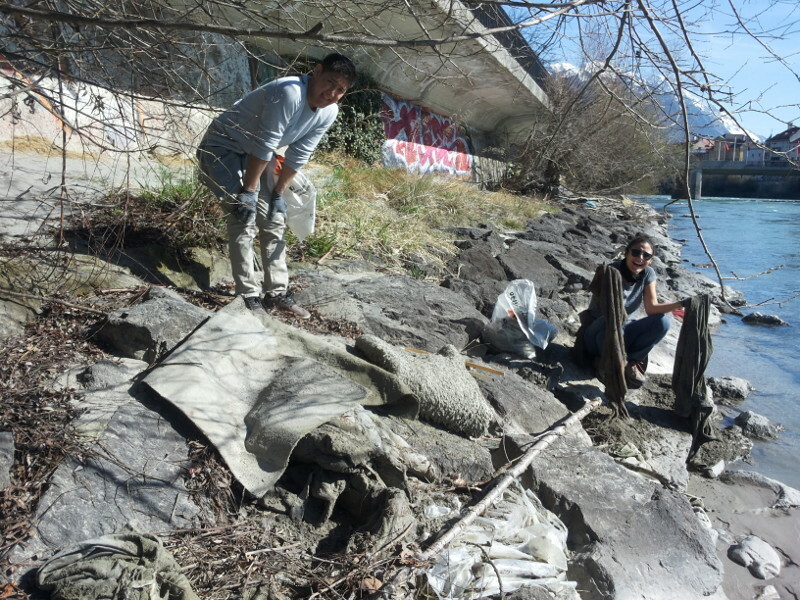 For the 27th time, volunteers of New Acropolis participated in this year’s river cleaning together with the City of Innsbruck and one of the largest volunteer teams. For us, philosophy means not only dreaming of a better world, but engaging us for the city, where we live.This year again, we were supported from nine participants of the project “Building Bridges”. We launched this initiative for and with refugees four years ago – with the idea to help people, who had to flee their country, to better integrate into our society and to learn from each other. The river cleaning is an excellent opportunity to combine the engagement for nature with the engagement for a better living together.